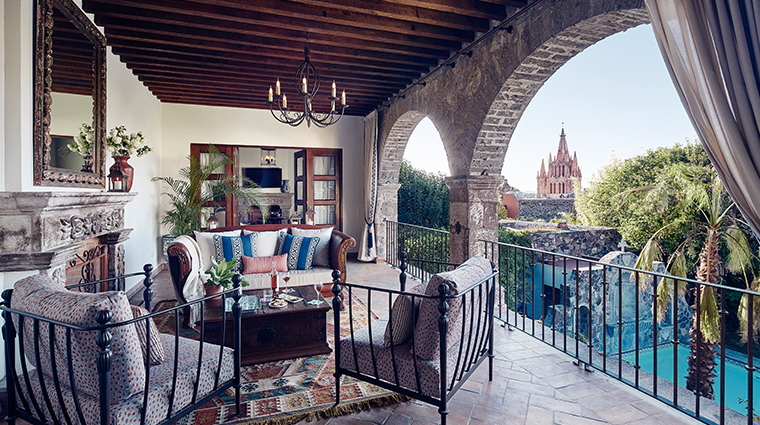 Spread across several historic Spanish Colonial buildings on a picturesque street in the center of San Miguel de Allende, Belmond Casa de Sierra Nevada, with just 37 rooms and suites, combines the convenience of a big hotel with the feel of exclusive apartments. 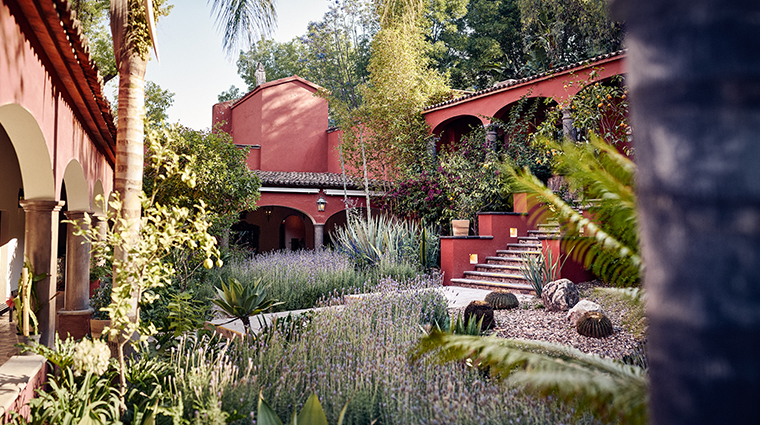 In keeping with the Belmond brand, the hotel offers luxurious amenities (great authentic dining, an intimate spa, a gorgeous pool and gardens) and a unique travel experience that reflects Mexico in every detail. 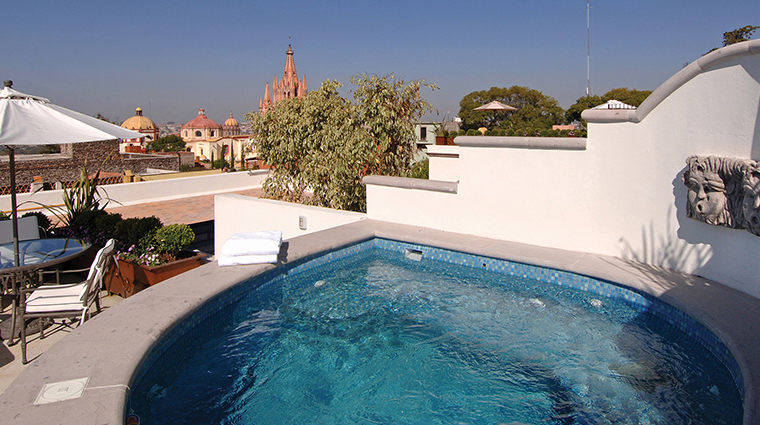 While each of the luxury hotel’s buildings is quiet, tranquil and set back from the street, outside you are a stone’s throw away from San Miguel’s main square and all that this gorgeous city has to offer. If your room is away from the main building, wander over in the morning for breakfast or have it delivered straight to your room. 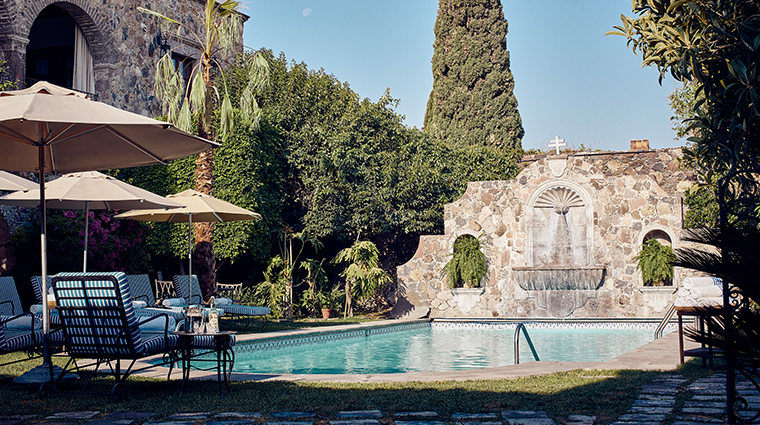 • Casa Palma houses the hotel’s beautiful pool in its gardens and all guests have a key to the building so they can have a relaxing moment in the sun. • You will rarely want for anything, as every room has a personal butler ready to attend to individual needs. 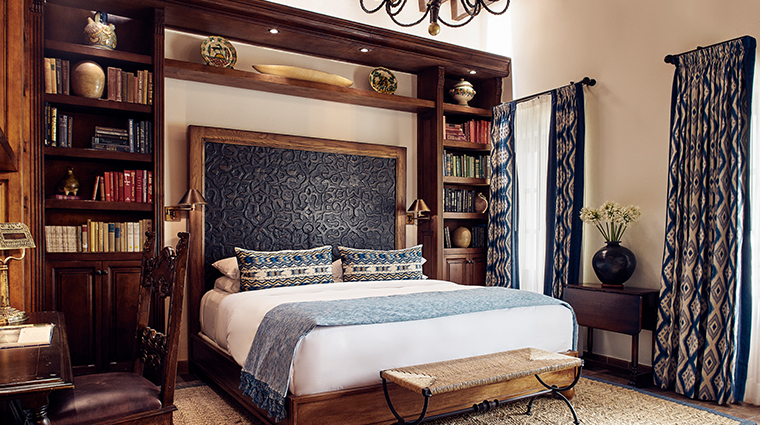 • The locally focused Laja spa has an Old World cottage feel with intimate rooms, complete with fireplaces and low ceilings, which add to the charming tranquility. 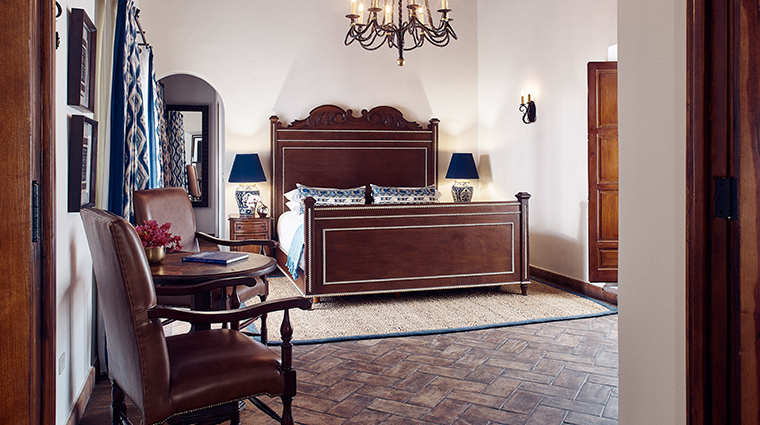 • No two rooms at Belmond Casa are alike, but they all have a charming colonial elegance in keeping with the feel of the city. 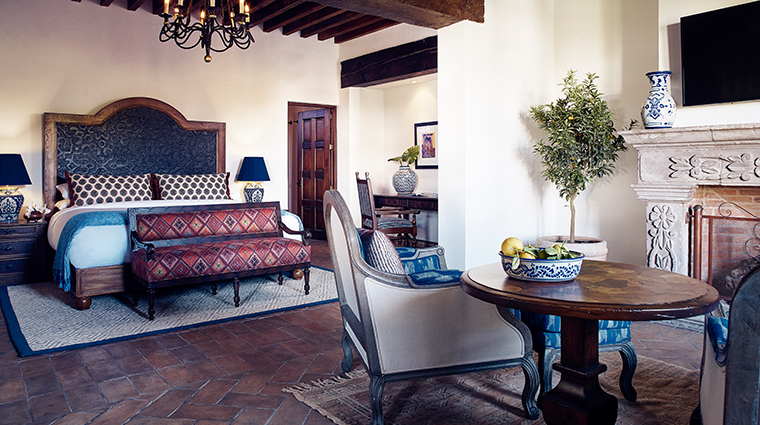 • With an entirely authentic Mexican menu, the San Miguel de Allende hotel stays true to its roots. • Set away from the hotel’s main buildings, Laja spa is named in honor of the river that flows through the mountains and into San Miguel. • You can also book time in the traditional temazcal (a Mesoamerican sweat lodge), which calls on age-old wisdom and rituals to purify body and mind. • For the ultimate indulgence, upgrade to the Presidential Suite and you’ll get a plunge pool on your room’s private terrace. 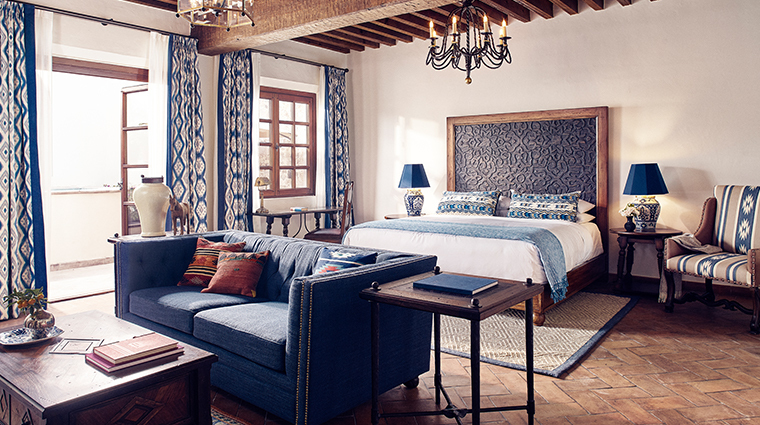 • Design details like dark wood furniture, ornate woodwork, Mexican-tiled bathrooms, polished copper sinks, curved ceilings, stucco walls and elaborately embroidered linens give a real sense of place to the luxurious rooms. 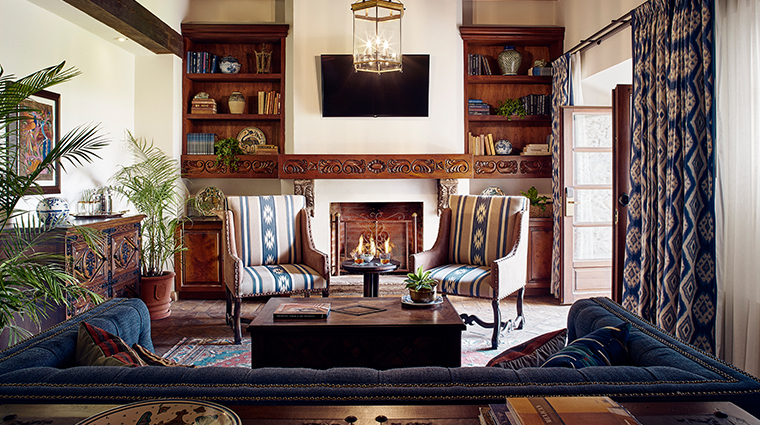 • All accommodations have a functioning wood-burning fireplace, ideal for the cooler winter evenings. • High-tech features (LCD televisions, Wi-Fi) provide modern-day comfort without taking away from the period feel. 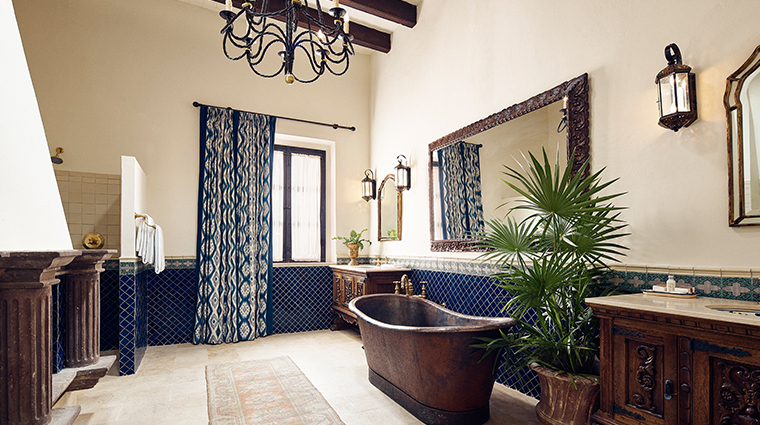 • While all rooms have ample bathrooms, Deluxe Suites boast bronze, freestanding bathtubs big enough for two. 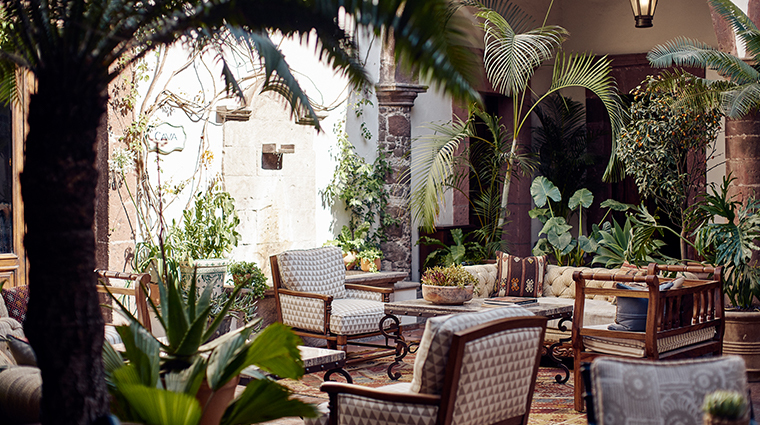 • The beautiful restaurant Andanza has leather Mexican chairs placed around a peaceful inner courtyard; it offers seasonal fare using local ingredients for breakfast, lunch and dinner. • The adjacent Blue Bar is a dreamy little spot ideal for lingering over a cocktail or two. 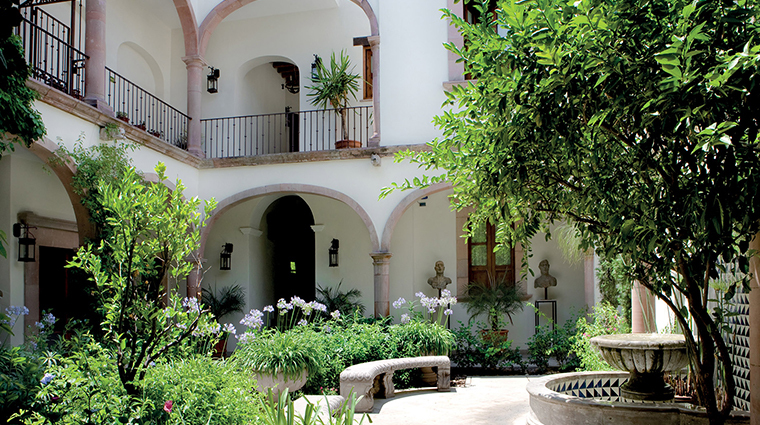 • The boutique hotel also has its own cooking school, Sazón, where you can learn the secrets behind artful Mexican dishes. • Head to the market to learn about the local ingredients before returning to the school’s traditional kitchen to cook up a storm. Students work up an appetite by the end of the class when they get to enjoy the fruits of their labor.